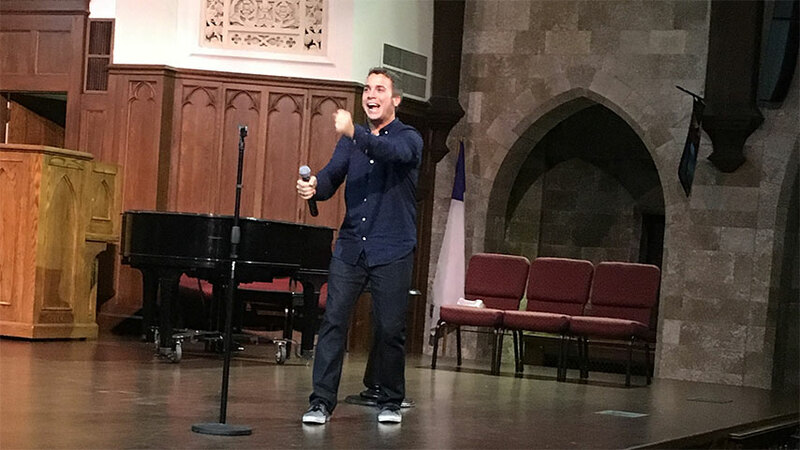 Nationally-touring Christian comedian John Felts has recently performed in: Fayette, Sikeston, MO and other cities. John Felts was a fabulous presence for our event. His humor was spot on and we loved how well he tied his jokes in with the happenings on campus. He was extremely courteous and professional, prompt, and very easy to work with. He had the audience in stitches for the whole show – building an instant rapport with them. We would be delighted to have him back any time."